We’re launching a dedicated website for color sets for you to use in Rebelle! 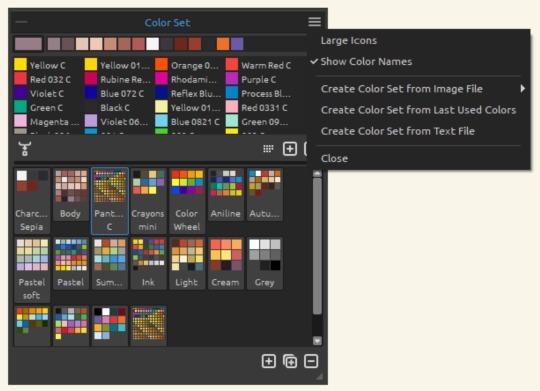 - Drag & drop Rebelle color set directly into your Color Set panel. For exporting and sharing your color sets for fellow Rebelle artists, go to Rebelle menu > Help > Show Library Folder, open “Colors” folder with a list of color sets and upload your color set to Community forum. The most popular color sets will be hand-picked to Color Set web page. So if your love for colors is overflowing, hit up Rebelle, create a palette from your choice and spread the love. ✓ Did you know that you can create a color set from any image? 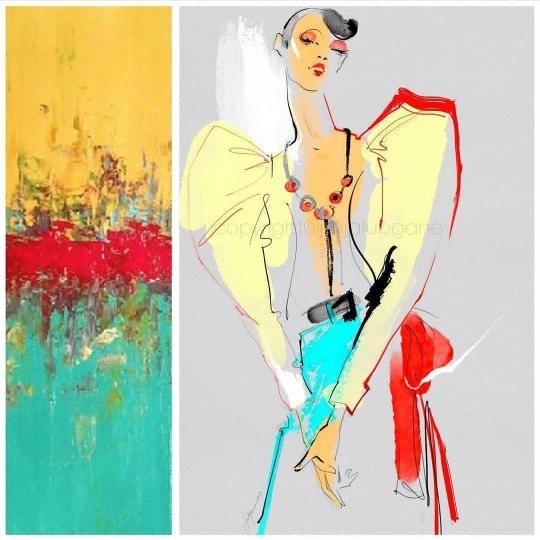 Simply import an image to Rebelle, and the software will use the hues in your reference photo or painting to create a unique palette. You can also choose how many colors (4,9,16 or 25) your palette will have. ✓ Another handy feature that our accomplished dev team implemented is a possibility to create a color set from last used colors. You can stay focused on your art with no need to remember what specific color you applied in your previous stroke. ✓ A possibility to create a color set from a text file is a nowhere-to-be-found feature for true color lovers. The first column consists of the hexa format of the color - RGB channel (e.g red: #FF0000). The second column is optional and consists of the names of the colors. For example, Pantone® C color set has been created for you from a text file, so that you could take advantage of color names directly in the Color Set panel. We encourage you to learn more about Color sets in User Manual or in a video tutorial on Youtube. Pinterest is not only full of chocolate lava cakes and DIY craft ideas. It is a great source where you can always find ideas to spark inspiration. Pinterest can be a huge time-waster, as well as an endless repository of idea-generating goodness. If you don’t want to get stuck, read this resourceful article by CreativeBloq on who to follow on this popular social platform. Canva - Known for its nifty photo editing tool, Canva also provides useful resources such as font combinations, logo maker or color palette ideas for stunning color combinations. Colormind - This AI-powered color palette generator surprises with perfectly matching color combinations. The list is almost infinite as datasets are added each day. ColorLisa - Get inspired by old masters and choose from a curated list of inspiring color palettes based on their famous works of art for your own creations. COLOURlovers is a creative community where people can create and share colors, palettes and patterns, discuss the latest trends and explore colorful articles. 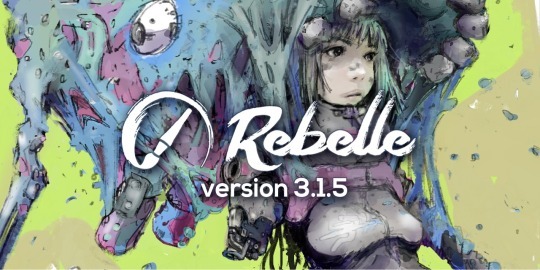 Today we are releasing a new update to Rebelle 3. 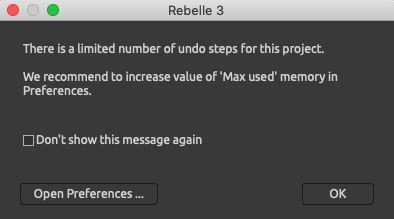 This version features fixes to some unfriendly bugs which could appear during your work in previous Rebelle versions and also brings a few useful changes. The update is available for download from your Community profile and is free for all Rebelle 3 users. • Color Filters - We have rewritten the code for all color filters so now it’s easier to get results you expect. Filters now look a lot more natural and pleasant. • Unpleasant bug with Grid in Color panel - Some users experienced a strange behavior when a Grid appeared out of nowhere on the color palette and switched with every click which made it impossible to choose a color. This was caused by an accidental internal touch event that activated “scroll” on the palette (which was another way of turning the grid on). We decided to solve this issue by adding a “Lock” option in the Color panel menu - this option will lock your palette and thus prevent it from any unwanted changes. • Rough time with tool-tips - We were looking for the best place to show tooltips in Rebelle. In the previous version, we moved them to the top of each tool. But we found out that if you wanted to click on the tool above you had to wait for the tooltip to disappear which could take a few precious milliseconds of your creative time. In version 3.1.5 the tooltips still appear at the top of each tool but disappear immediately. If you don’t want any tooltips, you can turn them off completely in Preferences > General. 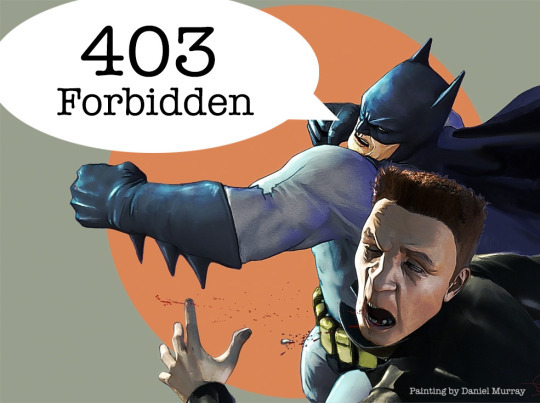 We believe it is important to warn you about this kind of limitations, but we also understand this may interrupt your painting process. So we decided to include a checkbox in Preferences with which you can turn off the warning for good. The checkbox is available in Preferences > General > Memory. • Touch actions - We’ve added the possibility to turn off single-touch and multi-touch actions separately. This can be quite useful when you want to use a touch of your finger to blend your painting but don’t want an accidental tap with the second finger or your palm to trigger moving or zooming of the canvas. Or you don’t need a single-touch at all and just want to use two fingers for canvas transformations. • Support for fonts for Chinese, Japanese and Korean language added. • Import of more asset files at once added. • Drag & drop of multiple assets at once added - Add papers, color sets, and brushes. • ‘Invert pen tilt’ option added - when Wacom devices use Ink, the tilt may go the opposite direction. • Color Palette: RGB’s Green value was larger by 1 than in the System color palette. • Color Palette: Sliders in Circle mode now display correct HSV values. • New Artwork Dialog: Lock Ratio icon now resizes correctly. • ‘Snap to Canvas’ option now works correctly for ‘Resize Image/Canvas’. • UI scaling fixed for New Artwork window, Demo window and Wacom/Ink dialog. To get the latest update, log in to your Community profile and go to My Profile > Purchases. Definitely let us know how you like working with the update via Rebelle’s menu Help > Send Feeback.